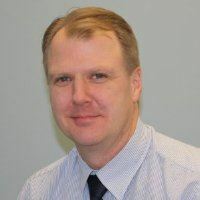 Rob worked for Kaplan University as their Director of Career Services for 9 years, and has 20+ years experience as a career/life skills coach working with Maine’s under-served populations. He was involved with the development the Project Reach model for Job’s for Maine’s Graduates working to scale it nationally. He also managed Project Reach 17 sites located throughout Maine. Rob earned his Masters in Higher Education in 2015. It's his passion to work with students and clients through Workplace Readiness initiatives and competency based programs in preparation for today’s workforce.